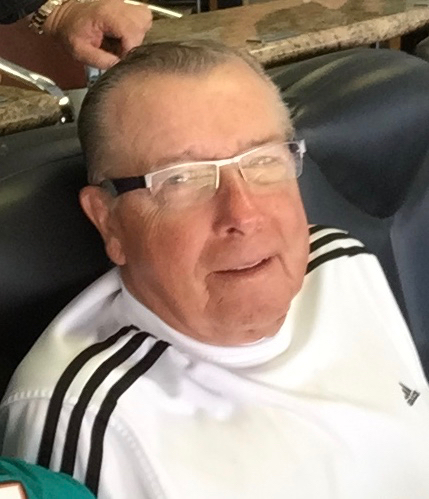 James Peter Walton, 84, of Punta Gorda, Florida passed on to our Lord on October 30, 2018. He was born on Jan. 24, 1934 in Port Huron, Michigan. James graduated from University of Detroit Jesuit high school and United States Merchant Marine Academy in King’s Point, New York. He served in the U.S. Navy during the Korean War and was stationed in Korea and Japan. He is the son of George Walton and Gertrude Dieter, brother of Mary and Joseph. James was married to Patricia Slife in Cleveland, Ohio and had three children, Anne Marie, James Patrick and Brian Patrick. He is survived by his son, James Patrick, his daughter-in-law, Deborah, and his grandchildren, Joshua and Julia. James spent the last 17 years in Florida and enjoyed many wonderful years with family and friends playing golf, boating, vacations and holidays spent with family and hitting the pool with his friends. During his working life, he was a successful sales executive in the materials handling industry. Services will be scheduled by his son, Jim, who can be reached at jwalton.swg@gmail.com. Announcements will be made by phone, email and social media to family and friends.